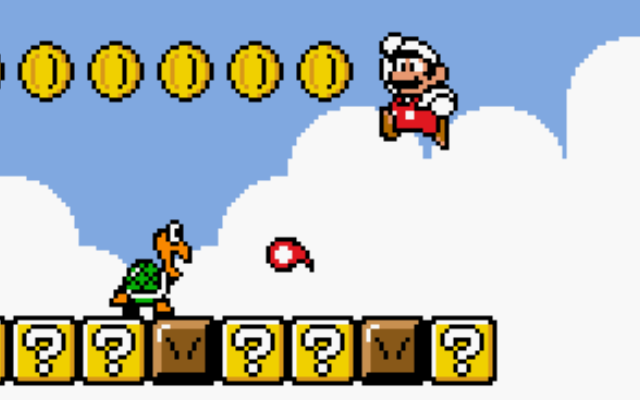 Super Mario Land 2 is a game that many gamers from the 90’s hold dear. It was one of the killer apps for the original Gameboy platform, and it set the bar for what platformers could be like on Nintendo’s early handheld system. Featuring fun and creative level themes, a phenomenal soundtrack for Gameboy standards, and amazing graphics, Super Mario Land 2 is one of the best handheld Mario games to date. Now, if you’re like us and you loved the game back then, we’ve got an awesome Christmas present for you! A rom hacker by the name of “toruzz” has released a romhack for the game… that adds a nice and welcomed splash of color! Appropriately titled Super Mario Land 2 DX (like The Legend of Zelda: Link’s Awakening DX), this romhack repaints the entire game with vivid colors. Play through the original adventure with a whole new perspective! Not only that, but the romhack also adds in the superbro Luigi as a playable character! And get this – he even has his own physics based off of his controls in the new Mario games! That means he’s a little slippery and his jumps are a lot more floaty. Also, apparently the original version of Super Mario Land 2 had some input lag, which this hack also removes. It’s been such a long time that we don’t really remember how bad it was, but it’s gone completely now, so you can make those pixel perfect jumps! You can grab the patch from romhacking.net. You’ll also need the first version of the Super Mario Land 2 rom, as the 1.1 and 1.2 version will not work with this patch.